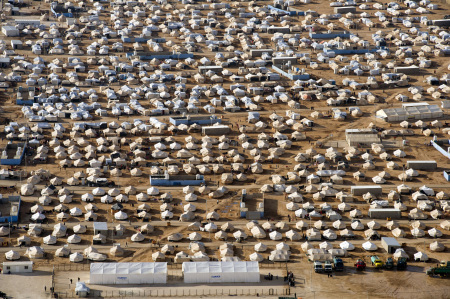 The treatment of Syrian refugees living in urban centres in Jordan is changing radically. New laws, passed in July, are placing strict new limits on who can receive services and support from UNHCR, agencies, and the government. Until recently, the Government of Jordan allowed all Syrians with refugee status to register for services from UNHCR and the Ministry of Interior in urban areas, with no questions or limitations. This policy meant that even those Syrians who left refugee camps through informal means were able to access monthly food vouchers, health care, and education for children, as well as being eligible for monthly or one-time aid packages allocated based on need. In July of 2014, this regulation changed: Syrians who lack proper bailout documentation are barred from receiving any services or support from the Government of Jordan, UNHCR, or other aid agencies. Technically, a Jordanian sponsor is required to secure permission for Syrians to live in urban areas through a procedure referred to as a “bailout”. This sponsor is expected to provide for the family in question, in order to prevent Syrian families entering and influencing the employment and housing markets. After contacting a friend or relative willing to pledge support, processing bailout paperwork can take from a few days to several weeks. Practically, however, the ideal bailout rarely exists. Over the past three years, leaving the camps informally has been extremely common—smugglers would often approach families the day they arrived with offers to leave that evening. Many Syrians were unaware that leaving the camp is considered illegal by the Jordanian Government, especially when security around Zaatari was less sophisticated and thus easier to evade. The majority of Syrian families who spent time in Zaatari and are now living in Irbid seem to have left by informal means. Syrians who did secure sponsorship for their bailout documentation (either through friends and family or through bribes to strangers) were often abandoned to their own resources. The result is a large number of Syrians—more than 80% of the 600,000 living in Jordan—are living in urban centres and directly accessing the economy. Syrians have had a large impact on the housing and employment markets: rent is going up, wages are going down. While the negative impacts of Syrians on the Jordanian economy are often exaggerated, it is impossible to deny that the sudden arrival of such a large group has had a major effect on the economy in Irbid Governate. In an attempt to counter this trend, in the past two months, the Government of Jordan has sharply shifted its policy towards Syrians living in urban areas. After mid-July 2014, UNHCR and the Ministry of Interior are no longer permitted to issue refugee status and identity documents (which are required to access to aid, health care, and education) for Syrians without proper bailout paperwork. Those who approach to apply are instructed to return to the camps where they were registered. While those who currently hold UNCHR and Government of Jordan documentation are able to retain access to these services, aid agencies canvassed were not able to confirm that they will be able to renew documentation when it expires. It is difficult to emphasize how sharply this regulation may affect Syrian forced migrants living in Jordan. In the course of my research, I have not encountered a single household which relies on a Jordanian sponsor. The vast majority of former camp residents left informally, without following proper bailout procedures. If these households are not able to renew the documentation which grants access to services, their experiences in exile will shift sharply. Without access to WFP food vouchers, food security will quickly become an issue; those who qualify for monthly assistance from UNHCR will be pushed from a relatively secure life into negative coping strategies and desperation. Children will no longer have access to schooling; costs of private healthcare will render medical treatment unobtainable. Theoretically, these hardships will act as push factors, forcing Syrians to return from urban areas to the camps. Yet initial reports from Azraq camp suggest that the new law has not slowed run-aways. Zaatari camp, the sprawling city-in-vitro that is commonly celebrated in the media, is closed to new arrivals; all Syrians now go to Azraq, where harsh conditions—no electricity, metal cabins with dirt floors deep in the desert, long walks to latrines and food distribution centres—are abhorrent to Syrians now living in urban apartments. Even substandard housing in Irbid Governate offers a proper floor and a private bathroom. No matter the hardships of living in cities, they do not compare to the absolute indignity of life in the camp. And this shows in the numbers: while Azraq supposedly holds 20,000 registered refugees, whispered rumours in Amman say that no more than 4,000 to 8,000 residents have remained. The rest have “escaped” (the word Syrians themselves use) to return to cities. What, instead, will be the effects of these policies? Some UNHCR staff express fear that the future will bring more “underground” urban refugees, typical of the urban refugee situations in Cairo or Nairobi—uncounted, unmonitored, largely unassisted, actively hiding from aid agencies and the government alike. It is hard to see how the new regulations—understandable from a management standpoint but completely divorced from the lived experience of life in exile—will create a situation which is more stable, sustainable, or beneficial for either Jordanian host communities or displaced Syrians. This blog is dead. I confess I visit rarely now. The reason it is dead is because Syria is dead and the regime is dead man walking and was so from day one. Russia and Iran are now scrambling to get out since the regime does not have any troops left, IS is in every province, is gaining ground and support, and the constituents are now realizing that the promise of protection is and was a mirage. Today they are forcing young and old to join in Jableh of all places. Where art thou Mjabali to lament this barbarity? I have some property to sell you in Syria, are you a buyer? SOHR documented the death of 203 civilians in Aleppo city since the beginning of July/2014 until the 10th of December/2014, killed by shells, IEDs, Gas cylinders, and mortars fired by Badr Martyrs battalion led by Khalid Hayani on areas under control by regime forces. Including 42 children, and more than 25 women in addition to 136 men and young men. No less than 700 others were wounded, including women and children, 25% of them were seriously wounded for life. Syria is not dead, the so called revolution is. Many rebels fighting in Syria today are terrorists and thieves, the small faction of non Islamist fighters that once existed is gone after running out of money and support the same way moderate opposition did because moderates were a threat to both the regime and the evil GCC-Turkey alliance. Now it is clear and public: Saudi Arabia has left oil prices slow down dramatically because of the expansionist and violent politics of Iran in Syria, Lebanon and Yemen. Squeezing economically Iran and Russia may be the only sollution those regimes may understand. Quitting is not my middle name. Also, unlike you, I have faith of the place of my origin Syria. Also: unlike you. 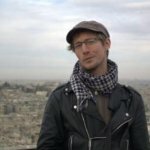 I like Syria comment, a blog that continue to present quality articles about Syria. Matthew Barber work on the Yazidis on this blog is top notch. The work of Ayman Jawad al-Tamimi is unparalleled. Do you want me to continue with the good writers this blog has. Arron Lund is another…then you have Professor Landis….please mr. observer be fair in your assessment. If there are not much going on in the discussion that does not mean that this blog is dead. Syria Comment is the place to be to read good quality articles about Syria. There is no place on the net like Syria Comment. You want to sell the properties you own in Syria: let us talk money. Syria is going to come back one way or another. These Islamist goons are not going to destroy the Syrian identity, nor can al-Assad or the amateur opposition. Both al-Assad and the opposition conspired to destroy Syria: both can not. Why is the number of participants fell to this extent? There were articles with 600-700 posts, but now? This is something that has meaning.